Globally, most people have a mobile phone, some even before they have electricity, so why not use mobile phones to deliver healthcare so that everyone can access healthcare with a Click? As the founder of ClickMedix, Ting relied on her decade of experience in designing and launching technology services, along with associated business strategies for major US government, pharmaceutical and global education companies and organizations. Her areas of expertise include strategy, lean/Six Sigma process improvement, operations management, organization change management, and business development. She spent three years as a founder of Click Diagnostics, a social enterprise born out of the MIT Media Lab, conducting mobile health projects and pilots in over ten countries in Africa, South Asia, the Middle East, and North America. She was integral to designing mobile health systems that can withstand unreliable or intermittent mobile network, while satisfying the varied needs of healthcare in underserved communities. She founded ClickMedix to build upon the success and learning from the three-year pilot of creating a highly reliable, secure, and user-friendly, HIPAA-compliant telehealth system that can be deployed quickly to health practitioners and connect patients with medical experts worldwide. Ting leads the design, development, and deployment efforts for ClickMedix’s affordable mobile health and education system. 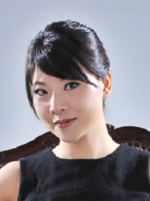 Ting is named Toyota Mothers of Invention in 2015 and Cartier Women’s Initiative Awards Laureate in 2012 for North America. She holds an MBA from the MIT Sloan School of Management and MS in Systems Engineering from MIT, as an MIT Leaders for Global Operations Fellow and Public Service Fellow. In addition, she holds a BS in Computer Science and MS in Software Design and Management from Carnegie Mellon University.